Start fresh and keep your system working at its best. 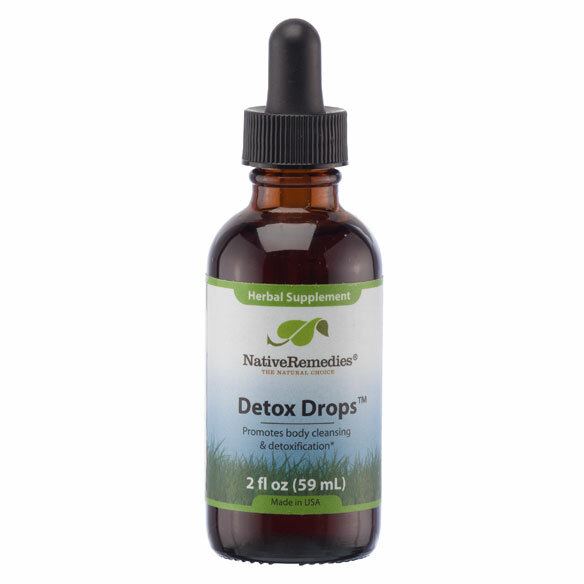 NativeRemedies® Detox Drops™ detox supplement helps boost your body’s natural ability to remove toxins and waste, leaving you feeling light and renewed. Herbal supplement supports healthy liver functioning and systemic cleansing without harmful side effects. Detox drops encourage overall immune system health, clear skin and invigorated energy levels. Ideal as a gentle detoxification program. Add drops to water, juice or milk 3 times daily for 6 weeks. 60 ml bottle lasts approx. 40 days, depending on usage.